Looking to make a spectacular Christmas splash on your storefront, hotel or establishment this year? 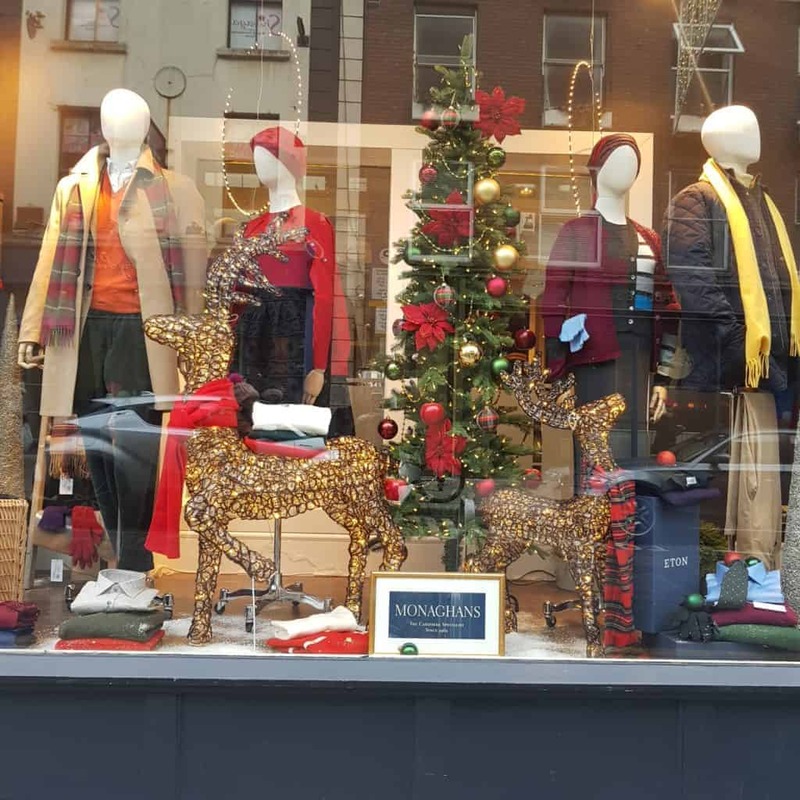 Christmasland.ie welcomes trade enquiries from commercial businesses. We’re well experienced in supplying restaurants, hotels, retails shops as well as other businesses all that they need for Christmas. We can help your business create the ideal setup and buy the right components to create impressive displays and wow your customers. 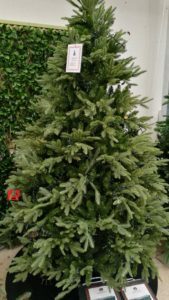 Christmasland sources Artificial trees, Garlands and Wreaths from some of the top manufacturers in the world.Our trees are built to incredibly high quality standards with many sizes available. 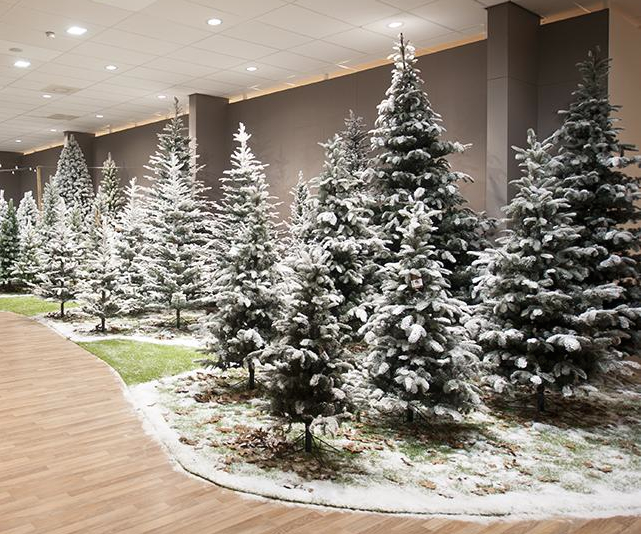 From standard 7ft tall trees that will instill festive spirit in your shop front to awe inspiring 12ft giants that will really give your guests an impressive welcome at reception. On top of that, these trees and garlands are built with lastability in mind, allowing your business to save and re-use year after year. Each tree is made with incredibly durable polythene shaped into a realistic look. Meanwhile trees with built in lights use long lasting and energy saving LED lights that don’t sacrifice brightness. 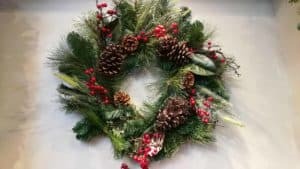 Our Garlands and Wreathes come in a variety of types, from wintertime flowers to impressively realistic looking wood weaved. Christmasland prides itself on stocking some of the best designs globally. Christmasland are proud to stock some of the top brands of Christmas lighting for indoor and outdoor use. We stock a large range of lighting comprised of various colours, light types and number of lights. All of our lights are LED, giving you high quality brightness and low power usage. Christmasland offers a selection of battery powered lights and AC mains lights giving you plenty of choices. Brighten up your staircases, storefronts, reception desks, bars and more with our lighting options. Please feel free to contact us if you are looking for a Christmas lighting solution for your business. One of the finest Christmas scene makers across the globe. Christmasland is delighted to stock Lemax Christmas scenes. These incredibly intricate and detailed Christmas scenes proved a massive hit with our customers last year. Perfect for storefronts and in store displays that will surprise and delight your customers. Christmasland is once more stocking Lemax products. Please inquire for more details. Christmasland is happy to help your business set up a fantastic display that will enrapture your customers at one of the busiest times of the year. If you have any queries about our products or are looking for advice. Please feel free to contact us via the contact form below or email us. Getting ready for Christmas 2018! Christmasland.ie is rolling out all the stock that makes Christmasland.ie Dublin’s favourite Christmas decorations showroom. Before the silly season completely takes hold we’re offering trade and commercial businesses exclusive pre-christmas deals on a variety of Christmas products. This is a great opportunity to get your business decorated and ready for the Christmas season.